A fascinating 42-strong entry has been received for the QIPCO British Champions Sprint, including Prix de l’Abbaye winner Battaash, who is currently the top-rated sprinter on 127 and who delivered another exhilarating performance at Glorious Goodwood. 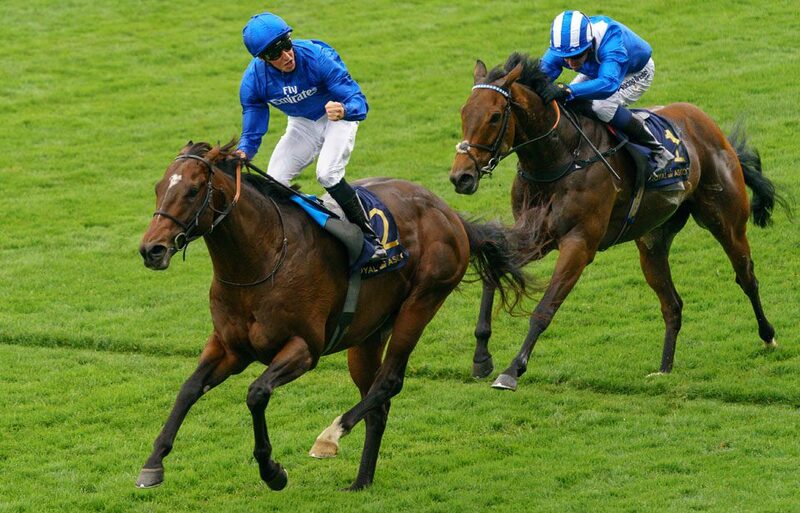 No horse has ever covered Ascot’s six furlongs more quickly, though, than Charlie Appleby’s Blue Point when he won the Group 3 Pavilion Stakes in 2017, one of three successes from four course visits for the Godolphin-owned sprinter. Blue Point’s most recent Ascot win came at QIPCO British Champions Series level in the King’s Stand Stakes, when he inflicted a rare defeated to Battaash over five furlongs. Harry Angel, another who could potentially carry the blue Godolphin silks here, has been closely matched with Blue Point in the past and was a Group 1 winner in both the July Cup and Haydock Sprint Cup in 2017. He suffered a poor start and pulled too hard when fourth to Librisa Breeze in the QIPCO British Champions Sprint Stakes, and had stalls issues again when 11th to Merchant Navy in this year’s Diamond Jubilee Stakes at Royal Ascot. Series star sprinter HARRY ANGEL could take on World’s Top-Rated Sprinter BATTAASH in the QIPCO Champions Sprint. Trainer Clive Cox said, “He obviously had a hold-up after Ascot and it’s very much day-by-day with him. The aim is for him to be ready for the Haydock Sprint Cup and we’ll see how that goes first. The last two heroes of this race are both set to be in the line-up again. James Fanshawe’s The Tin Man built upon his 2016 victory by landing the Diamond Jubilee Stakes at Royal Ascot in 2017 and was a fine fourth in that same QIPCO British Champions Series race in June. Most recently, he was an eye-catching third in last Sunday’s Prix Maurice de Gheest. Librisa Breeze, fourth in the Maurice de Gheest, made his Group 1 breakthrough for Hertfordshire trainer Dean Ivory when coming a length and a quarter clear in last year’s QIPCO British Champions Sprint. “I was very, very pleased with his run at Deauville. The ground had been watered to maintain it at good, and it just goes to show how the ground is a big thing to these horses. Representing France is last year’s fourth City Light, who was beaten just a short head over course and distance in the Diamond Jubilee Stakes back in June. Premier tickets are selling fast for the Ultimate Raceday at Ascot on Saturday 20 October – be sure to secure your spot via the Ascot website!